I don’t usually do lists, but why the heck not do one for the biggest conference in our corner of the internet the one time a year it comes around. Considering we have had zero hard leaks so far and only semi-confident rumors, making lists like this is more exciting since there are no gimmies (well, besides iOS 11, watchOS 4, and macOS *blah*). I don’t really have a system for this list, but I tried to do things that are not incredibly obvious or total pie-in-the-sky dreams. I think all of these are totally possible. 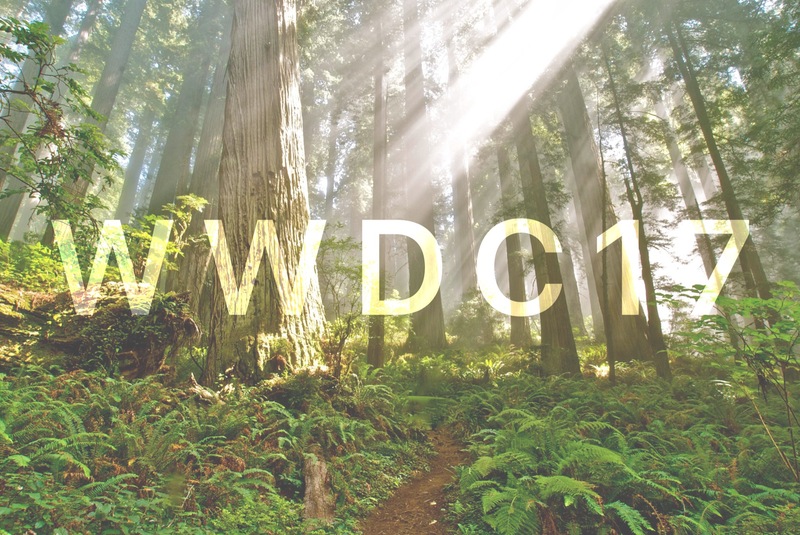 So without further ado, here are 10 things I expect Apple to show at WWDC 17.
iOS 10 was hard on the iPad. For the platform Apple calls the future of computing, they sure didn’t treat it like that last year. iOS on the iPad is almost unchanged from iOS 9, and I think that is going to change in a big way this year. They’ll still lead with iPhone features, but expect the iPad to have much more stage time than last year. There are few things that would be as transformative to the iPad as getting a full version of Photoshop with feature parity to the desktop app. If Apple wants to prove you can do all your work on an iPad, having full Photoshop will significantly move the needle. In addition to having Adobe on board, I think we’ll see Apple bring either Final Cut Pro, Logic Pro, or maybe even revitalize Aperture for the iPad. The demo for this app will be heavily focused on the Pro hardware and Pencil. They may even make this app exclusive to the Pro iPads only. With the rumor of a Siri speaker also being announced at this show, it’s essential that the Siri service gets an upgrade as well. I expect Apple to tout their advances in machine learning and how differential privacy has enabled them to collect tons of data without compromising their users’ privacy, and we will see a whole new UI for Siri on iOS and the Mac. As a side prediction, I also think Apple will allow many more apps to tap into Siri with new APIs, so everything from your task manager to your podcast player to anything else you can think of will be able to work with Siri. A pain point for Siri right now is that so much of it is app-based, so you need an app installed on a device to use its features in Siri. Apple will address this somehow so that you can ask Siri on all your devices to do something even if you only have the app installed on one of them. Similarly, HomeKit will also come to the Mac version of Siri. This is a little nebulous, but I think Apple is going to shake up what watch faces do on the Apple Watch. I’m thinking something like automatically changing the complications based on time or your location, or maybe bringing up media controls when your playing audio on your phone. I know I’m being a little fuzzy on this, but I’m going to count this one if the watch faces make any decisions about what they should show to you. I predicted this last year too, but I think it’s really coming this time. I think it will be exclusive to the Series 1 and 2 models, since those each have plenty of battery to spare if the goal is to make it through a full day. This will not be turned on by default, or you will have to activate it during the initial watch setup. The original Apple Watch was wonderful, but it was barely powerful enough to run watchOS 1, let alone the new features I expect to see this year. My guess is that this is the end for the Series 0. Much like iOS 4 which shipped on the iPhone 3G and original iPod Touch, but didn’t include many of the cool features such as multitasking and changing wallpapers, watchOS 4 will come to the Series 0 watch, but it will not have everything. Although it won’t be announced at the show, this will be the last major software update the original Apple Watch will get. This is a bit of a 2 parter, but I think the Camera app will be redesigned to make room for yet another feature, augmented reality. Apple added Portrait Mode last fall for the iPhone 7 Plus, and I think they will take this a step further with some other AR mode in the Camera app. My guess would be something to do with Snapchat-style lenses, but we’ll see. Who the hell knows on this one, but I had to throw one out there.